It’s the time of year when inquiring young minds want to know–Where’s Santa? Here’s a great website to answer that question. There’s so much to like about this website. Target users are young children, so I like that this website requires little reading. Once they get to the site (I have a link on our classroom start page for NORAD Santa), they can watch a Santa video while I get everyone else logged on. They can also check out the real-time countdown of how long until Santa arrives while watching the video (BTW, the video comes through YouTube so I have to stay on top of making sure they don’t stumble onto other videos). Once the movie ends, students click through to Santa’s Village (requires the skill of scrolling down the page and finding the link–hard for kindergartners, but we persevere). Santa’s Village includes twenty-five games, added at a pace of one a day, for children to play as they await Santa. Students must pay attention to detail, find the numbers of the games and know which day of the month it is so they select a game that is open. This is accompanied by festive holiday music. Games include holiday themed versions of popular kids games such as tic-tac-toe, Zippy Elf Word Sleuths, the Game Room, Ornament Collection, sledding games, Christmas Putt and Play, Snowball Warrior, and an MP3 player with music. In fact, every game is accompanied by holiday music which students love. The favorite of my students is a Christmas tree that you connect the lights to make it work (it’s #10 in the Village). It takes a lot of logical thinking and if-then analysis. I have never seen an adult complete it, but my first graders love seeing who can do it the fastest (and they are fast. It took one little boy ninety seconds. I asked him how he did it. His answer: His dad tells him to look backwards for the answers and that’s what he did. Wow.). When they complete the tree, I have them print a screen shot (which I teach them how to do), print it, sign it and hang it in the classroom gallery. 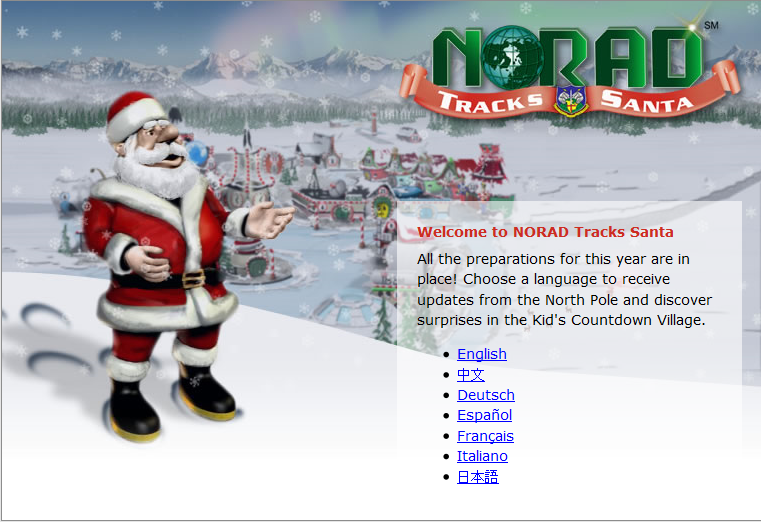 On Christmas Eve, this site is where all children go to track Santa’s progress across the planet as he delivers gifts. I share this with my parents so they’ll know when to get their kids in bed, allowing Santa to arrive in private. Parents like this part of the program. This site is available only December 1st through Christmas. My students are always disappointed that they can’t play it out of season, but they are on top of reminding me when they can, again, play NORAD Santa. Jacqui Murray has been teaching K-8 technology for 15 years. She is the editor of a K-6 technology curriculum, K-8 keyboard curriculum, creator of two technology training books for middle school and six ebooks on technology in education. She is the author of Building a Midshipman, the story of her daughter’s journey from high school to United States Naval Academy. She is webmaster for six blogs, an Amazon Vine Voice book reviewer, Editorial Review Board member for Journal for Computing Teachers, Cisco guest blogger, a columnist for Examiner.com and TeacherHUB, Technology in Education featured blogger, IMS tech expert, and a bi-weekly contributor to TeachdHUB and Write Anything. Currently, she’s editing a thriller that should be out to publishers next summer. Contact Jacqui at her writing office or her tech lab, Ask a Tech Teacher.